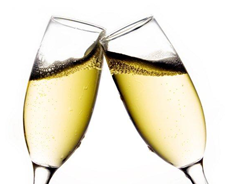 02/01/2016 - Advanced Business Software celebrates 28 years in business. The company officially started business on February 1, 1988. 03/16/2016 - Advanced Business Software released an updated early beta version of it's E-commerce system ADaM On-Line. The user interface has been given a facelift and includes 'responsive design' so that it can be used on mobile devices as well as PCs. ADaM ReCon is a browser-based mobile application for Remote Contact management. 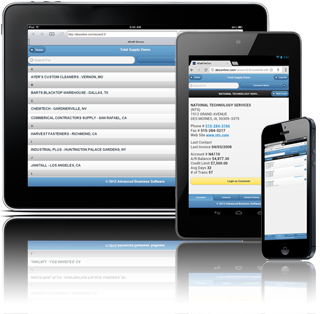 Using smartphones, iphones, ipads or tablet PC's, ADaM ReCon provides real-time customer/contact information and allows for contact events to be posted real-time in the field. New features include a streamlined and new 'mobile app' look and GUI. ADaM ReCon also provides an option for the Salesperson to 'Login as Customer' into the ADaM On-Line e-commerce system and 'shop' as the customer. ADaM On-Line provides customer specific pricing, a customer personalized 'supply house' and additional e-commerce features. On February 1, 1988, Advanced Business Software (ABS) was founded by Ken Jackett and Robert Eldon in Orange County, California. At first, ABS started serving the distribution and manufacturing industries developing business software for mini-computers. By 1992, ABS had developed a software package for the distribution industry called the ADaM (Advanced Distribution and Management) system and was developing software for multi-user networked PC systems. ABS started development of it's Windows product in 1995 called ADaM for Windows. By 1999, ABS started development of it's ADaM system for Commercial Tire Dealers and Tire Retread Plants. ABS continues to stay current with the latest business and software technologies with the ADaM system running on Windows 8 PC's, providing e-commerce and mobile business applications to hundreds of satisfied users. We're grateful to all of the customer's that we've been able to serve over the last 25 years and look forward to many more. 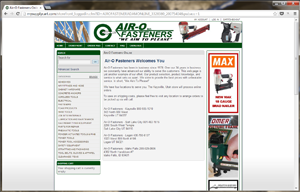 Air-O Fasteners, Inc. has recently gone live with ADaM On-Line and are implementing Adam On-Line's newest feature, My Supply House.